FORT WORTH (WBAP/KLIF) – Fort Worth Police searched over 8 hours for a missing 3 year old, only to find out she didn’t exist. 43-year-old John Jerald Ratcliff is charged with filing a fake police report, claiming he lost his daughter. Buddy Calzada with the Fort Worth Police department says they sent out 28 units from all over town including air support. “The thing is we used numerous resources to find a child that did not exist when we could have been responding to other calls quicker,” Calzada said. 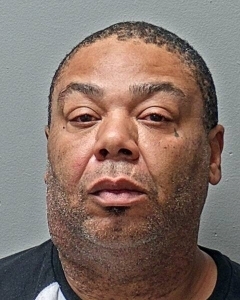 Calzada said earlier in the night Ratcliff was going door to door in East Fort Worth asking for his fake daughter and told police he didn’t know the name of her baby sitter or phone number. Calzada said a neighbor notified them that Ratcliff did not have any children and that they had never seen a child in his home. “When we confronted him about it he finally admitted to it at around 6:30 in the morning, he was lying to us the whole time,” Calzada said.